6.3′ (1.9 m). It has a Junior (1-1/8″) receptor and a Baby (5/8″) spigot. 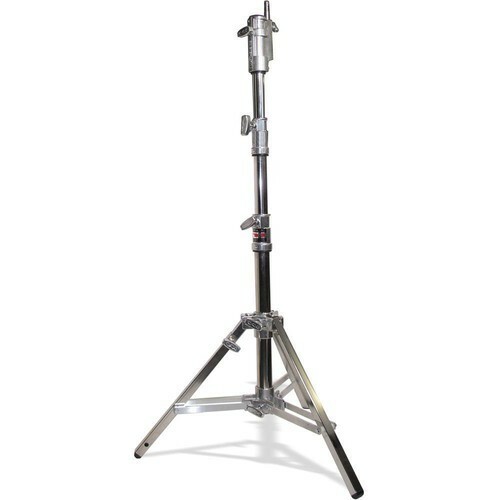 This stand is constructed of steel, for a higher weight capacity. This stand uses optional Matthews #366068 Combo Adapter Wheels.